Supported Living (SSL) Workers at Sanctuary staff have received letters from their employer threatening a possible dismissal and re-engagement if they do not agree to huge pay cuts, even though the project makes an annual surplus. The SSL project contributes to the parent organisation's surpluses of over £50 million pa.
Staff employed by Sanctuary need your help! Please send a letter of protest via Change.org and support their campaign. 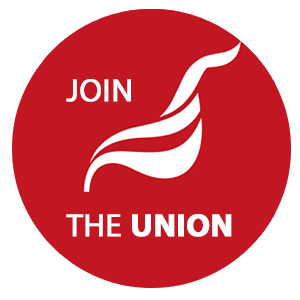 Unite has been campaigning against the cuts with day's of action taking place in Worcester, where Sanctuary's headquarters are based and have taken part in mass leafletting around Sanctuary's student accommodation and across local estates. Many local residents have expressed concern and anger at the unjust treatment of Sanctuary workers and union activists have also made representations to the Mayor and other councillors. The next stage of this campaign is to write to Sanctuary's chief executive, David Bennett, appealing to him to reverse his decision to cut the salaries of Sanctuary Supported Living (SSL) staff, in some cases by around one third.